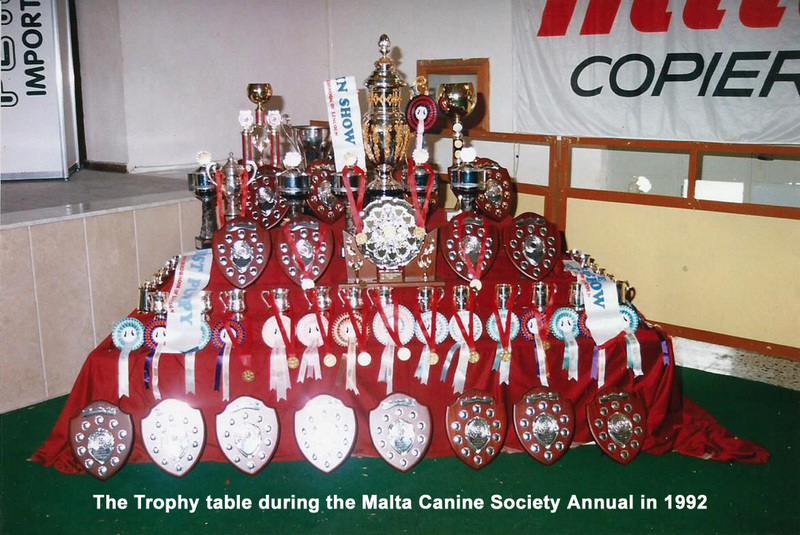 History of the Malta Canine Society. 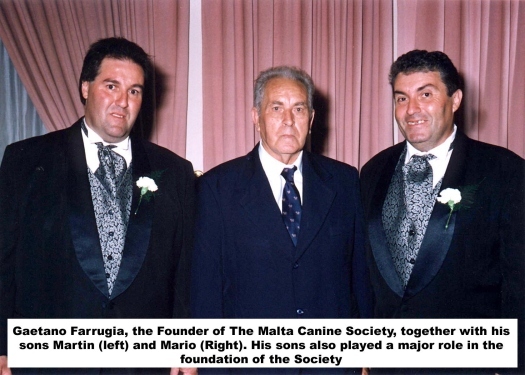 Although the Malta Canine Society was officially founded in 1973, it was in 1971 that the foundation of this Society was being set. Till that time, only one dog club existed in Malta, and that was The Malta Kennel Club. Gross disagreements amongst some members of the Malta Kennel Club at that time resulted in the fact that 30 members signed a proposal to the club so that an Extra Ordinary General Meeting is held to discuss these disagreements. Instead of accepting democratically and as stated in the Statute their request, the Committee decided to suspend these 30 members! These members didn't cave in, they decided to form a new Club, and hence the Malta Canine Society was born, originally known as the Hamrun Kennel Club. The main founder of this Society was Mr. Gaetano Farrugia, known as Topper, and together with his sons Mario and Martin, and Saviour Manfre', Cisju Bonnici, Joseph Turner, Joe Camilleri and Emanuel Apap decided that they should form this club. The first year's was very hard for all involved in the running of this new club, and the Malta Kennel Club imposed automatic suspension to any members who participated at the Hamrun Kennel Club events. But Mr. Farrugia was more then determined to see that this club strives and he personally financed the majority of the club's expenses as the club then had no resources at all. At those early years, dog shows used to be held at the Floriana Scout's quarters at Floriana. The club didn't have any show equipment at all. Ropes used to be tied between vehicles to form a ring, and local judges used to officiate at these early shows. 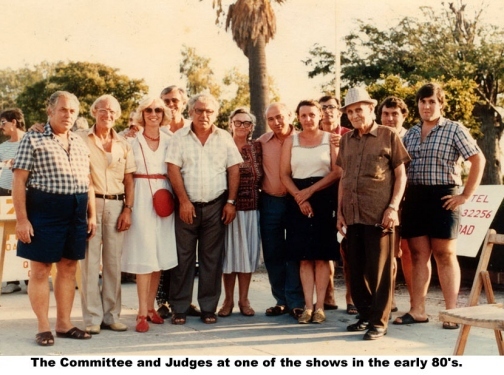 The Malta Kennel Club used to send "observers" to see which of its members took part at the Hamrun Kennel Club's shows, and sometimes strong arguments took place between the Malta Kennel Club's observers and the Hamrun Kennel Club's officials. Some members were suspended for taking part at the Hamrun Kennel Club's shows, some members were mysteriously "lucky" enough to avoid suspension, and the number of participants was always increasing. 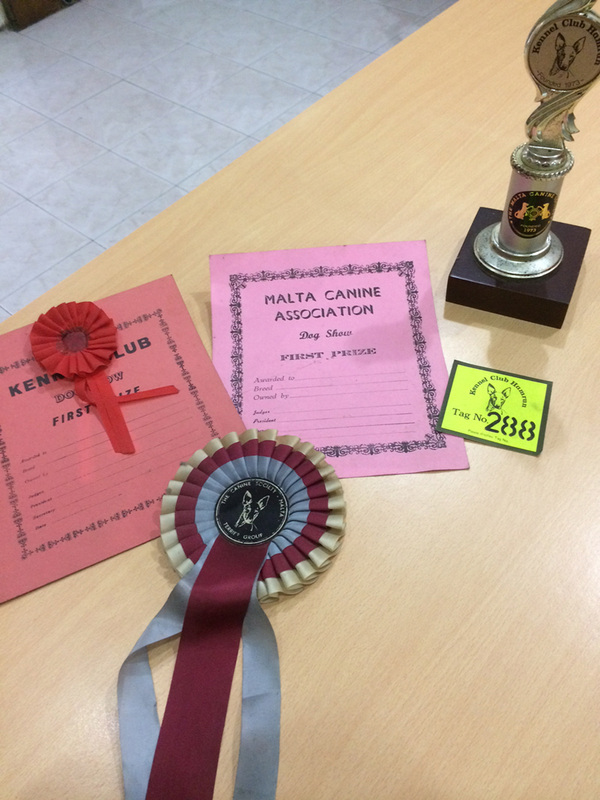 New members started involving themselves in the running of this club, with a less militant attitude towards the Malta Kennel Club and more concern for the quality of the dog shows themselves, although rivalry between the two clubs was still evident. The Hamrun Kennel Club was now organizing better shows, and novelties were always on the agenda of the HKC's shows. In 1985 the club obtained its own premises, the very same premises still being used today at Camelia Street, Hamrun. By this time the Argotti Gardens at Floriana were being used as the show venue by both the Hamrun Kennel Club and the Malta Kennel Club, and shows used to be held during the months of May and October. Mr. Thomas Morrell, an English gentleman resident in Malta at that time was the Club's official judge, and he officiated in numerous shows for some years. In 1986 the club started inviting judges from the U.K to officiate at its shows. 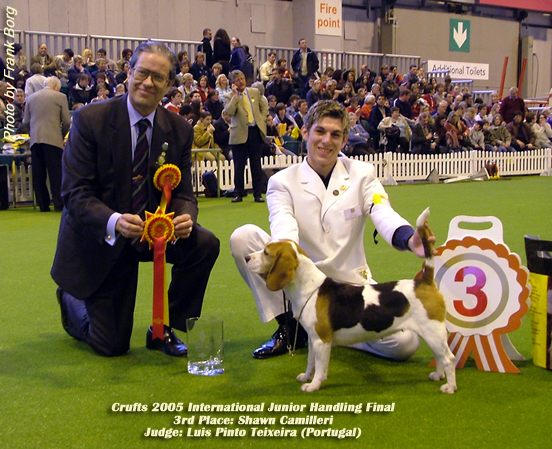 In 1986 the carpeted ring was introduced in Malta, a major breakthrough indeed, and as a result of this the Malta Kennel Club had no alternative but to follow suite and introduce the carpeted ring for its shows as well. 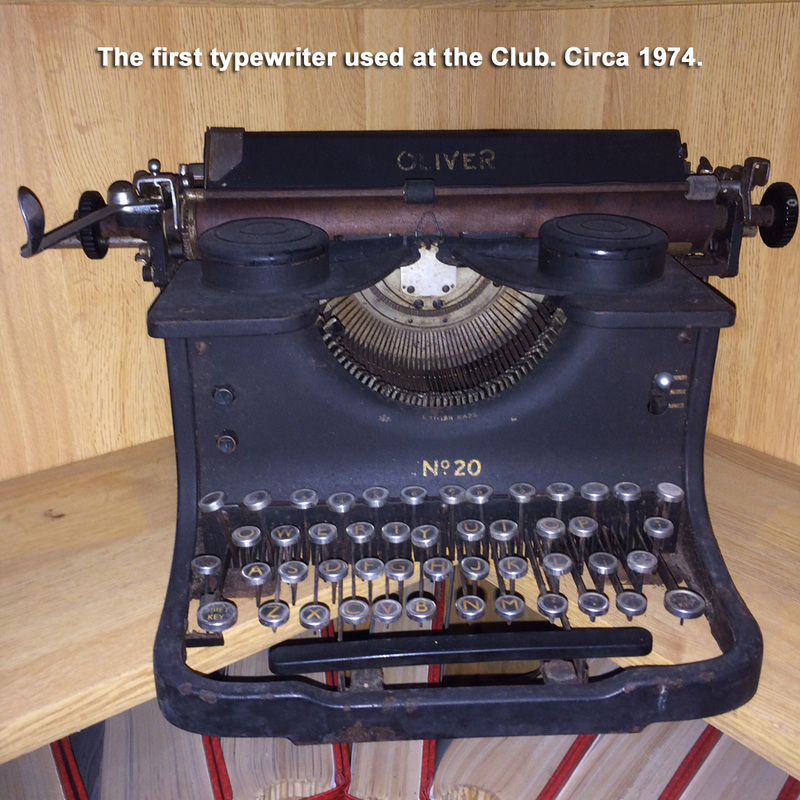 Later on, the Club also introduced artificial lighting. By now it was evident that the Hamrun Kennel Club was catching up in numbers with the Malta Kennel Club, and its Committee was committed towards the Club's activities and as a result of that the Club was getting stronger and stronger. In 1988 both Clubs started discussions and in March 1988 the two Clubs's reached an agreement and the Malta Kennel Club now recognized the Club and its activities. As a result of this agreement the club changed its name to the Malta Canine Society. With the new name came a new logo, and this was designed by Frank Borg. By now both Clubs started making use of the Naxxar Trade School's hall for their shows, and such hall was found to be so suitable that it is was used for many years until the management of the school decided to divide the hall and thus making it too small to be used for dog shows. By this time the Society was being run by "new" members, and the original founder members had by this time stepped aside. The Society never looked back, and it was always in the forefront in introducing new systems and show novelties. In 1989 the Club bought a beautiful big Trophy for its Annual Show's Best in Show winner, by then known as the Supreme Cup. This Trophy was the idea of the Society's President at that time, the late Mr.Godwin Cutajar. He personally obtained all the money from sponsors to finance this Trophy, which at that time costs hundreds of pounds. This Trophy is today known as the Godwin Cutajar Memorial Trophy and is still unique on the Island. Numerous events in the 90's rocked the MKC, there were boycotts on their shows from numerous members, disagreements in the committee, the club taken to court by a number of members, these all added up the problems the club was encountering. On numerous occasions The Malta Canine Society or its officials were called in for help, and so we did as it never was our aim to see the MKC dissolve in any way, unlike what the MKC is saying now. When the MKC had an all new committee, officials of the Malta Canine Society were called in for help as this new committee did not have any experience in the running of the Club. Pedigrees and dog registrations records were also handed to the MKC by our Club as it was found out that there where no records on numerous dogs and pedigrees at the MKC! When this all new Committee started to build up their experience and found their way around on how to manage things, they decided to turn their attention on the Malta Canine Society, more exactly on how to close it down as they had plans in mind and they were sure they will find resistance from members, and with our Club out of the way, their members, which were also members with our Club, will find no shoulder to lean on. Relations with the Malta Kennel Club started to decline in 1997, when the M.K.C Committee proposed changes to their Statute which, if approved, would have put the Malta Canine Society's and all other affiliated Societies in danger. These proposed changes brought harsh reactions of all affiliated Societies and the proposed changes where shelved for the time being. This brought everyone to their senses and the need for the formation of a Federation which would deal with all governing issues was identified. Mr. Victor Mercieca, the Society's President at that time, mentioned the idea of forming a Federation during the Society's Annual General Meeting in 1998, and the members present at this meeting seemed to be very enthusiastic about the idea since a lot of members where not happy with the way the Malta Kennel Club was conducting things. Immediately after the meeting, the Society started on this venture, and several meetings where held with the German Shepherd Dog Association, The Obedience & Agility Association, and later with the Maltese Ladies Kennel Association. The Malta Kennel Club, although invited for the talks, refused to take part in these talks. The Malta Kennel Club secretly joined the Federation Cynologique Internationale (FCI) in May. This was done behind the backs of all members and affiliated Societies. The MKC called for an Extra Ordinary general meeting on the 19th July 1999, to approve the MKC's affiliate membership with the FCI. To everyone's astonishment, over a 100 persons which where never seen before in any canine activity where present for the meeting, "non-active members" as they called them, and it was only with their vote that the affiliation to the FCI was approved. Long standing members were kept in the stairway of the hall where the AGM was taking place, with the excuse that they had to check their membership status whilst some Committee members were conveying these "non active" members to the hall without any checks at all. There were no more then 60 "active" members present at that meeting, and 39 of them walked out of the meeting in protest. Many still consider that day as the Black Monday of the Maltese dog scene. This brought nothing but outrage from the members, as it was clear enough that the MKC was doing things without the backing up of their members. Their committee knew that this will find harsh resistance from their members, hence the need to bring "non-active members" to that meeting to obtain the votes they were after. This terrible event in our local dog scene left it's marks and it was clear that the need for a Federation was evident more then ever before, and it was decided that the process must be sped up. The Society's secretary, Frank Borg, was entrusted with the talks with the British Kennel Club, to obtain recognition for the Federation once this was setup. 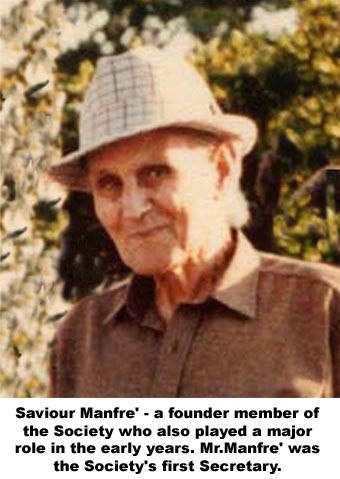 He also was responsible for the drawing up of the Federation's Statute, and in September 1999 the Federation was set up, with the founder members being the Malta Canine Society, The German Shepherd Dog Association, The Obedience and Agility Association, and the Maltese Ladies Kennel Association. Magistrate Dr.Carol Peralta was elected as the first President of the Maltese National Canine Federation. On the 17th October 1999, at an Extra Ordinary General Meeting purposely convened, the members unanimously approved the motion proposed by the Committee of the Society that would cease the affiliation to the Malta Kennel Club and for affiliation to the Federation. This was another historical day for our Society, and such a move left the Malta Kennel Club with no affiliated Societies to it, whilst the Maltese National Canine Federation has 4 affiliated Societies, which are all active and operational. The next important step was to ensure that the Federation would be recognized by the British Kennel Club, and this was no easy task since the Malta Kennel Club had a 48 years old reciprocal agreement in force with the Kennel Club. So the Federation, through Frank Borg, had to present a good case with plenty of sustainable arguments to the Kennel Club, so that our Federation would be accepted. At a General Committee meeting held at the end of November 1999, the Kennel Club accepted the Federation's case and agreed to set up a reciprocal agreement with the Maltese National Canine Federation. This was indeed the first milestone for our Federation as it had obtained an agreement with the biggest Kennel Club in the world. Since then, a strong relationship was founded with the Kennel Club, with the Federation being invited to Conferences and seminars held by the Kennel Club on many occasions. The Society's shows hosts around 50 breeds, the majority of them being imported from the United Kingdom. Together with the other Clubs affiliated in the Federation, the Society organizes 4 Championship Shows a year, and normally the shows are held in February, April, May and November, this being the Annual Show. All the foreign judges that officiate at the Society's shows always have words of praise for the show's and the professional way they are organized. Although the present Committee is almost entirely composed from new members, it is still the Committee's commitment to see that the Club remains the best club on the Island, with the better organized shows, and most importantly, the aim to bring back the fun into dog shows. The Committee is composed from young members with plenty of enthusiasm and energy to see the Club go from strength to strength in the future. Old prize certificates, rosettes and ring tag numbers dating back to the 70's and 80's, bearing the original logo and name of the Club. 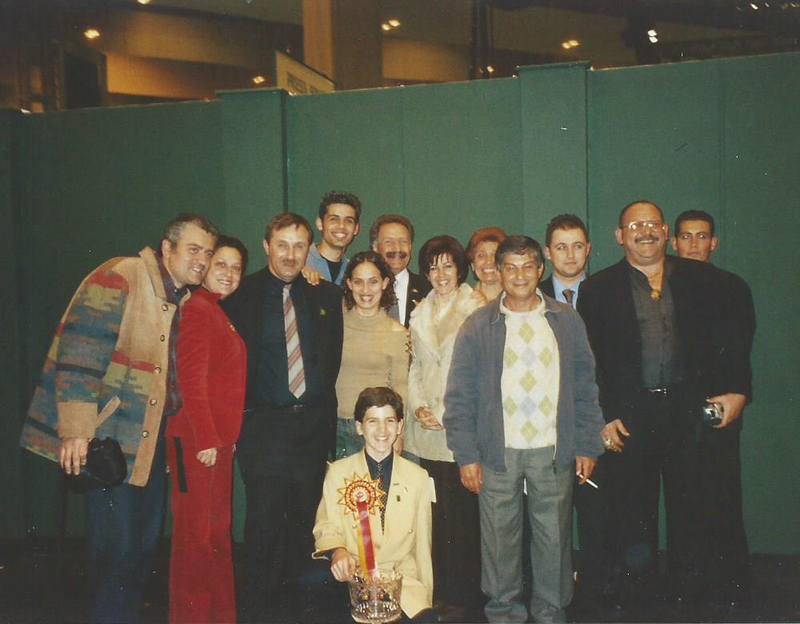 Officials of the Malta Canine Society and other Maltese supporters celebrating the 2nd Maltese victory at the International Junior Handler Competition at Crufts 2003. David Mercieca from San pawl Tat-Targa was the winner. 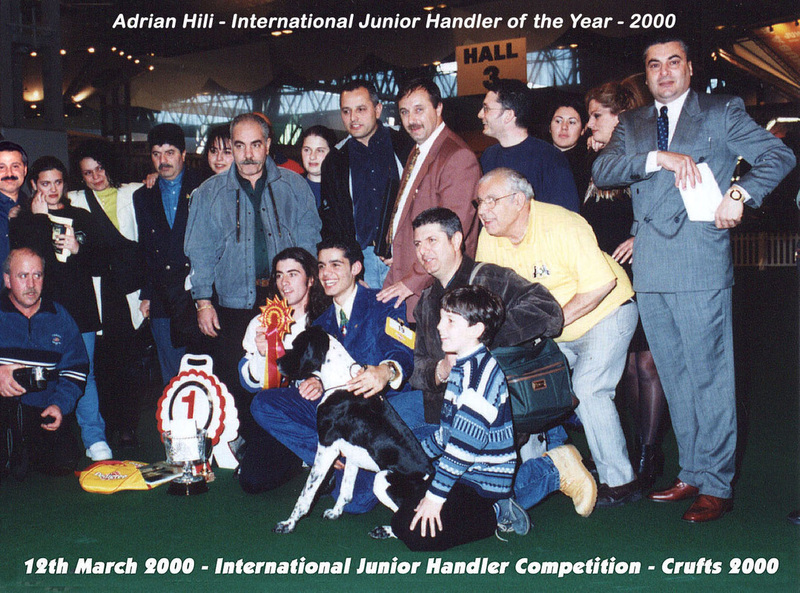 Officials of the Malta Canine Society and other Maltese supporters celebrating the first historical victory at the International Junior Handler competition at Crufts 2000. Adrian Hili from Hamrun was the winner. Old rosettes dating back to the 70's and 80's bearing the original logo. Note the different Club names on each rosette. The original name of the Society was Kennel Club Hamrun. Then it was changed to Hamrun Canine Society and later to The Canine Society Malta, untill when the present name was introduced together with the new emblem in 1988. These Rosettes daties back to the late 70's. These rosettes were made by the nuns in a convent. Later, committee members used to make these rosettes to save money. During the presentation of the prizes of one of the shows, this particular one being in 1980. A historical visit to the Club's premises in 2003 by the President of Malta, H.E Profs. Guido de Marco. 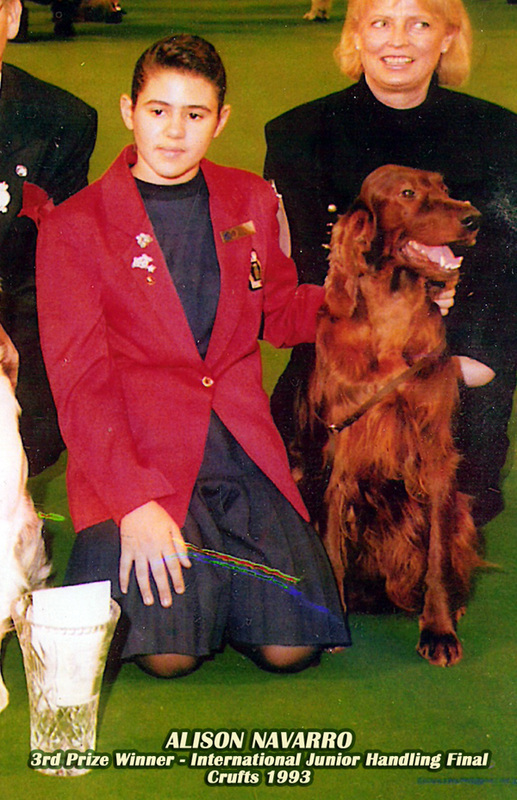 This visit was part of the celebrations taking place on the occasion of Malta's 2nd Victory at the International Junior Handler Competition at Crufts. 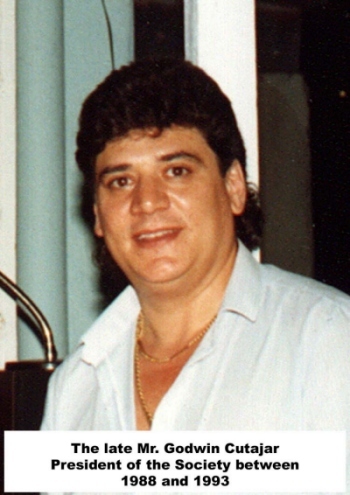 David Mercieca was the winner of this prestigious event in 2003. Adrian Hili did Malta proud in the year 2000. 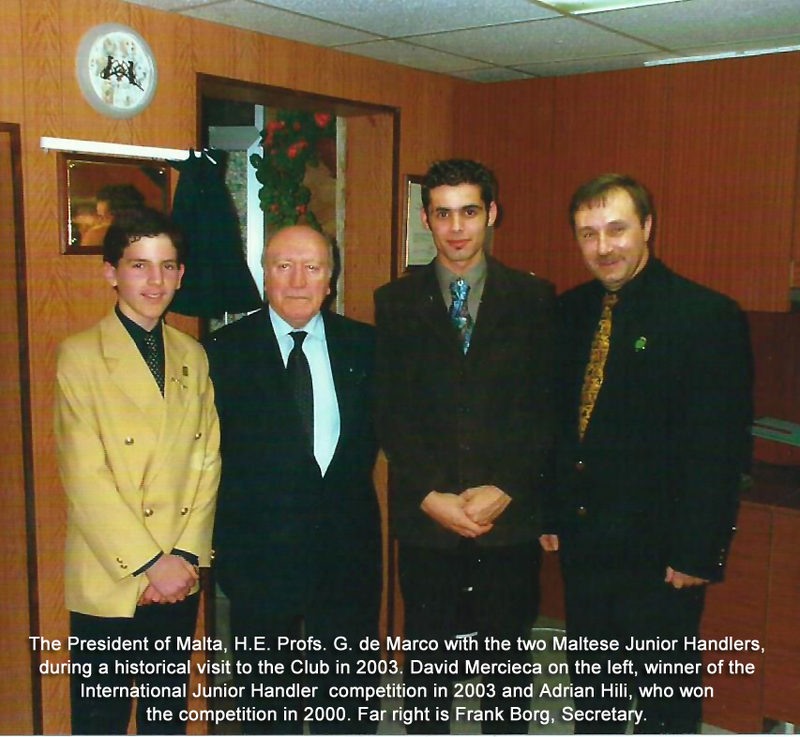 Both Juniors are seen here in this photo with the President of Malta and Club secretary Frank Borg.